Melinda Ashcroft very recently submitted her PhD thesis in Microbial Genomics. Prior to her PhD, she obtained a Master of Biotechnology (High Distinction) from the University of Queensland in 2013. Mid-way through her Masters, Melinda realised that it was possible to combine her two passions, computers and biology. This progressed into a Masters project on Melanoma genomics before Melinda moved into the Beatson Lab to work on a summer project on comparative genomics in Escherichia coli. In 2014 Melinda decided to continue working in Bioinformatics and joined the Beatson Lab to undertake her PhD. Here, her work focuses on the accessory genome in Extraintestinal pathogenic E. coli (ExPEC), with major projects investigating antimicrobial resistant lineages and the evolution and function of mobile genetic elements and DNA methylation using Pacific Biosciences SMRT sequencing technology. 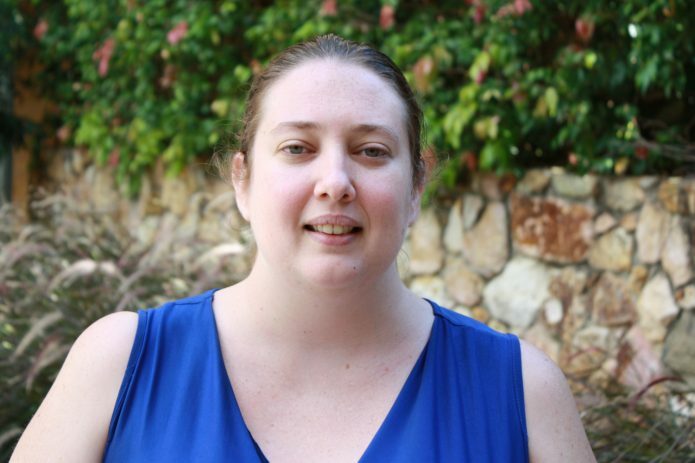 In her spare time, Melinda is involved in organising and participating in a number of social networking and mentoring opportunities for students and is a tutor for a range of subjects relating to bioinformatics, microbiology and genetics. As an ASM communications ambassador for 2017 and 2018 (Twitter: @AUSSOCMIC and @BioMinnie), Melinda's interests also include blogging and science communication.